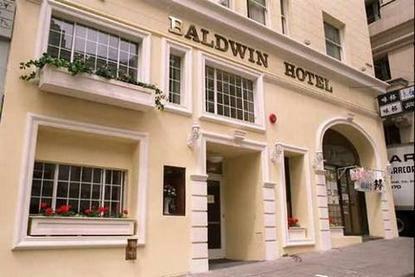 The Baldwin Hotel is a recently-renovated charming European style hotel located beside one of San Francisco's most known landmarks, the Chinatown Dragon Gate. Situated in the vibrant Union Square, we are an arm's length form fabulous shopping, exciting theater shows, and the world-famous cable cars.Newly renovated rooms are smoke-free with private bathroom, work area, TV with FREE movie channels, Direct-dial-phone with modem jack, Free in-room iron and iron board, hairdryer, radio alarm clock, in-room safe for your laptop and valuables. Wi Fi connection available at small charge.